On October 28, the Department of Education issued final regulations intended to protect student loan borrowers against school closures and fraud. Most provisions in the rules will be effective July 1, 2017, though aspects of the rules are likely to face legal challenge. Many of the implementation details are yet to be finalized—and these details, including how the Department exercises its discretion in reviewing applications for borrower relief and in deciding whether to provide groups of borrowers subjected to the same fraud with relief—will determine whether the rules truly serve the Department’s stated goal of protecting student loan borrowers from predatory school practices. Nevertheless, the rules include significant provisions aimed at protecting students from fraudulent schools: restricting school arbitration agreements; clarifying student rights to raise school fraud as a defense to loan repayment; providing automatic closed school loan discharges to certain eligible borrowers; and providing new rights for students to obtain false certification loan discharges. The new rules prohibit schools participating in the federal student loan program from entering into certain pre-dispute arbitration agreements with students or agreements that purport to waive students’ rights to bring class actions. These limitations apply to agreements with students who have obtained Federal Direct Loans or benefited from Direct Parent PLUS Loans, and apply to claims regarding the making of the Federal Direct Loan or the provision of educational services for which the loan was obtained. This means that schools cannot enter pre-dispute agreements with students that waive students’ right to go to court or to pursue a class action over any claims that could also give rise to a “borrower defense” claim (described more fully below). Nor can the school rely on an existing pre-dispute arbitration agreement or other agreement to force an individual or class action out of court, including if the agreement was entered into prior to the rule’s effective date. The school must still either amend the agreement or notify the students that they will not enforce the agreement. Again, this limitation applies to agreements with students who have obtained or benefited from Direct Loans and whose claims relate to the making of the loan or the provision of educational services for which the loan was obtained. Existing law allows students to raise-school related defenses to repayment of their federal student loans, often called “borrower defense” claims or “defense to repayment.” But for the past twenty years there has been little clarity as to the process to raise those defenses with the Department or the way such defenses would be evaluated. As a result, the Department reports that prior to 2015, it received only five claims for borrower defenses. Existing rules concerning these borrower defenses are analyzed in NCLC’s Student Loan Law § 13.8. The new rules are intended to rectify this. The rules set forth a process by which individual borrowers may submit applications to have their Direct Loans fully or partially discharged based on school misconduct, and a Department official will evaluate the claim using a preponderance of the evidence standard and decide on relief. The Department is also developing an application form borrowers may use to submit such claims, though borrowers may submit now using a letter brief or other application format if they prefer not to wait for the official form. The rules also set forth a group process through which the Department may provide class-wide relief where widespread school fraud is grounds for a defense to loan repayment. Under the group process, the Department may provide relief to students without requiring them to submit applications for relief. Only the Secretary of Education may initiate a group process under the rules, and a Department official—rather than a class action lawyer or similar—will be designated to represent the group of borrowers in the administrative process. Thus the Department will have significant discretion as to whether and when to pursue group relief. These new process rules will apply to both current and new Direct Loan borrowers. In contrast, the new substantive standards in the rules—which define what type of misconduct will support a borrower defense claim—will only apply to new loans disbursed on or after July 1, 2017. For such new loans, the rules provide that students have a defense to loan repayment if: (a) a school breached a contractual promise; (b) a school made a substantial misrepresentation that the borrower reasonably relied on to his or her detriment in deciding to attend, or to continue attending, the school or decided to take out a Direct Loan; or (c) there is a nondefault, contested court judgment against the school in the borrower’s favor. For existing loans disbursed prior to July 2017, the current standard will remain, allowing borrowers to assert a defense to repayment based on any act or omission of the school that relates to the making of the Direct loan or the provision of educational services for which the loan was provided that would give rise to a cause of action against the school under applicable State law. The new rule imposes time limits on the recovery of amounts already paid or collected from the borrower. For loans disbursed after July 1, 2017, a six-year limitations period will apply to refunds if the borrower’s defense is based on a breach of contract or a substantial misrepresentation, with the limitations period for substantial misrepresentation claims running from the time the borrower discovered or reasonably could have discovered the information constituting the misrepresentation. There is no limitation period for raising these borrower defenses to offset the remaining amount due on a loan or where there is a court judgment against the school. For existing loans—those disbursed prior to July 2017—the rules were amended to state that the Department will use the “limitation period under the law applicable to the claim on which relief was granted.” Although state law generally permits borrowers to raise defenses to offset outstanding amounts due on loans so long as the loan is collectable, the Department may interpret this new rule to allow it to limit refunds of amounts already paid on outstanding loans. Equity should counsel against penalizing current borrowers for not “timely” asserting borrower defenses before there was even a process to do, and such equity-based arguments may be available under applicable state law. The above borrower-defense rights apply to students and parents with Direct Loans. Borrowers with Federal Family Education Loans (FFELs) and Perkins Loans may access relief through this process if they agree to consolidate their loans into a new Direct Consolidation Loan (for those eligible to so consolidate), though they will not be eligible to recover amounts already paid on their FFEL and Perkins loans through this process. Borrowers with FFEL loans may alternatively assert a defense under existing FFEL borrower defense regulations and the terms of their promissory notes, but the new regulations do not clarify the process for FFEL borrowers to assert borrower defenses. Raising school-related defenses to FFEL is discussed at NCLC’s Student Loan Law §§ 13.8.4. Existing law allows students to obtain a complete discharge of their loan obligation and a refund of all loan payments where the school closed while the student was in attendance or the school falsely certified the student’s eligibility for federal student loans. See NCLC’s Student Loan Law § 10.3. The new rules strengthen these protections. In certain cases, closed school discharges will be provided automatically without the student going through the current application process. Under the new rules, the closed school discharge will be automatically provided to anyone attending a school after November 2013, where the school closed while the student was in attendance, and where the student has not re-enrolled at another school within three years of that closure. This automatic discharge without application should occur three years after the date of closure, though borrowers may continue to apply for discharge sooner. False certification discharges are also expanded, so that borrowers qualify for such discharges where the school falsified the borrower’s high school graduation or diploma or referred the student to a third party to obtain a falsified high school diploma. Additionally, if the Department finds that a school falsified the satisfactory academic progress of its students and a student is thus eligible for discharge on that basis, the Department will grant a false certification discharge without a student application. For more on false certification discharges, that completely eliminate a loan obligation and provide the student with a refund on amounts already paid, see Student Loan Law § 10.4. The new rules strengthen certain protections for federal student loan borrowers. Practitioners should also be aware of other student borrower protections, such as disability and refund discharges, deferments, forbearances, income contingent repayments, loan consolidations, and loan rehabilitations. These are described in detail in NCLC’s Student Loan Law (5th ed. 2015), updated online at www.nclc.org/library. Details regarding the new rules will be incorporated into the online version of Student Loan Law as soon as practicable. We welcome links to this page. For non-commercial purposes, you also have permission to reproduce this page digitally or in print without changes by adding the following language "Reprinted with permission from National Consumer Law Center, www.nclc.org/library." Abby Shafroth is a staff attorney at the National Consumer Law Center and focuses on the intersection of criminal and consumer law as well as student loan and for-profit school issues.. 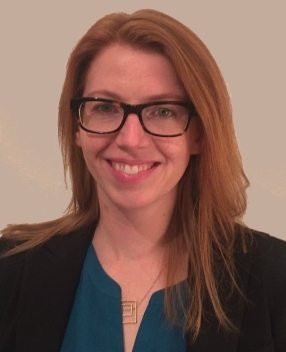 Prior to joining NCLC, Abby litigated employment and civil rights class and collective actions at Cohen Milstein Sellers & Toll PLLC in Washington, D.C. She also previously worked as an attorney at the Lawyers' Committee for Civil Rights Under Law and as a law clerk for the Honorable Richard A. Paez of the Ninth Circuit Court of Appeals. Abby is a graduate of Harvard College and Harvard Law School, and is the co-author of Class Action Issues, Chapter 5 of Private Enforcement of Antitrust Law in the United States: A Handbook (Albert A. Foer & Randy M. Stutz, eds.) (co-authored with J. Douglas Richards and Michael Eisenkraft) (2012).